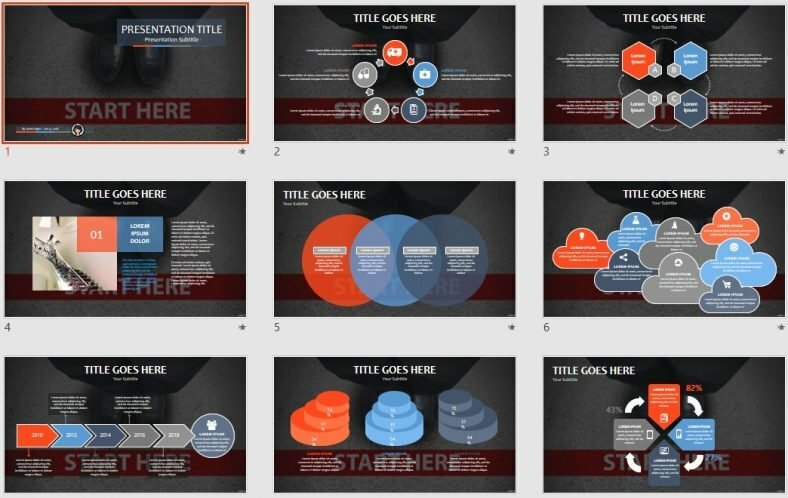 This Free Start Here PowerPoint Template includes a collection of pre-formatted PowerPoint slides, which are 100% editable and 100% Free. Use for School, Work or Personal needs. Click the download link below to open or save to your computer. PowerPoint-Free.com is authorized to distribute SageFox Free PowerPoint Templates. We do not authorize you to re-distribute these PowerPoints in a commercial manner. You can however post/display publicly individual presentations you create for yourself or your business. We do not require you to give credit to SageFox, but it would be appreciated.